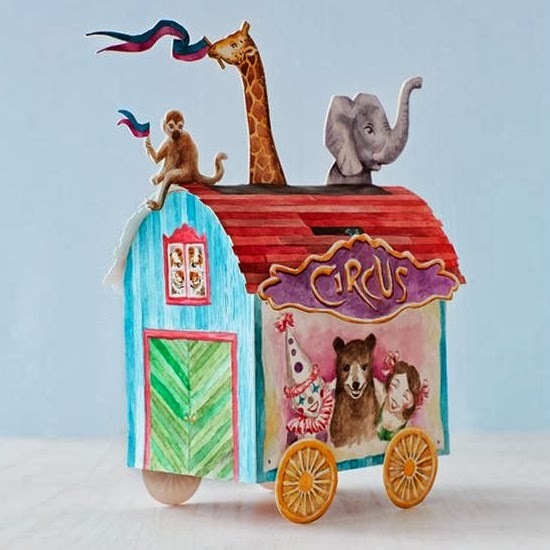 The Sweet Paul Magazine website offers a free collection of circus papercraft. The templates in the collection are unique in that they are scans of hand-painted watercolors rather than the digitally produced images one usually sees. Included in the collection are the circus wagon pictured, as well as mini clown masks, playful monkey "drink buddies", and Rosamunda, a dancing elephant automata. The entire set may be downloaded as a single zip file here. And in this corner, standing at 2 meters tall (yet weighing only a few pounds)... 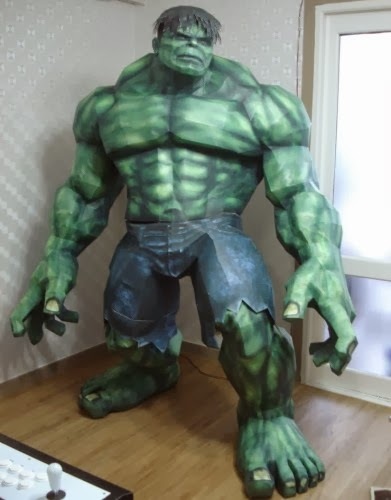 It's a life size papercraft Hulk! This is one of those paper models you have to be a little crazy to build. It wouldn't hurt to have a stockpile of ink cartridges for your printer either. The two part, 383 page Pepapkura PDO template was created by Metal Heart at Paper Juke and may be downloaded here. This 3d Doctor Who diorama was created by DeviantART member RudeAndGinger to be used as a greeting card. The card expands like an accordion to give a 3D view inside the good doctor's TARDIS. 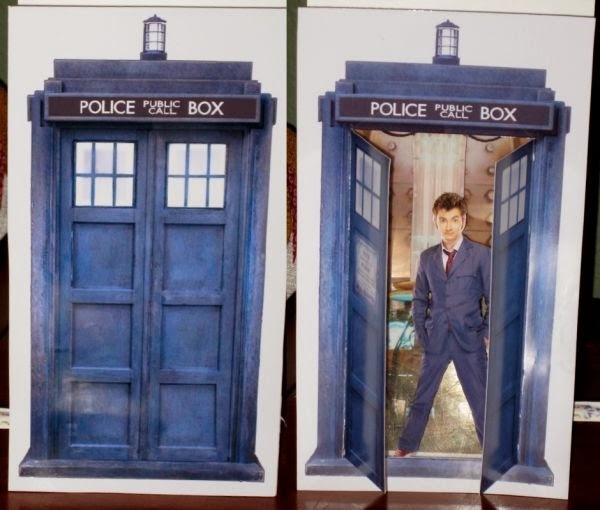 The template for the diorama includes three different Doctor Who cut outs. To download the template and detailed instructions go here, right click on the image, and pick "save as" to save the PDF file. In 2008, the sixteenth season of the Power Rangers television show aired in the US. The theme of the season was "Power Rangers Jungle Fury" and each of the Ranger's costumes had an animal theme. 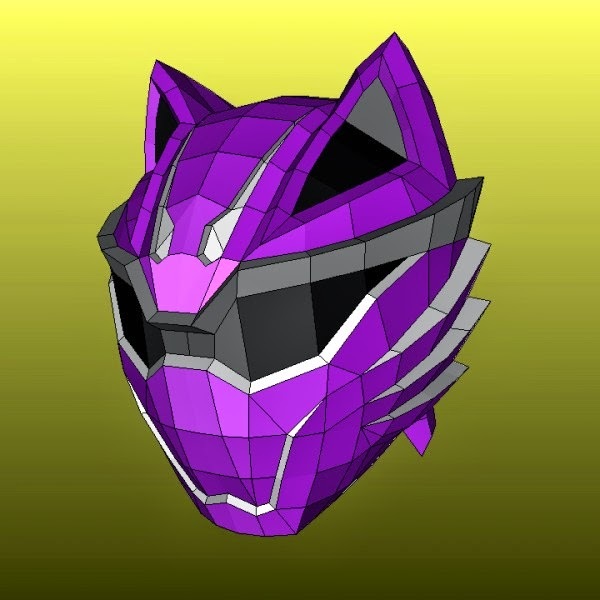 This is a full size paper model of the Violet Wolf Ranger's helmet. The Pepakura PDO template for the model was created by DeviantART member Joedme4 and may be downloaded here. Previously, I posted a papercraft Power Rangers Morpher Belt Buckle. 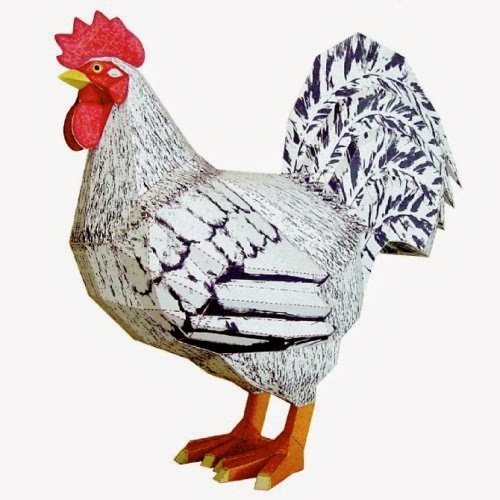 This delightful papercraft chicken is available for download at Huhut's Paper Craft Blog. Judging by the size of the template for the chicken, the finished model should be small enough to fit in the palm of your hand. I am impressed that such a small papercraft has so much detail! Ray at Ravensblight has added a delightful retro sci-fi pistol to his collection of free papercraft templates. 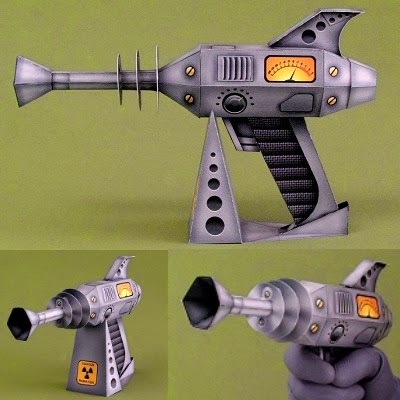 The gun, which is officially named an "electrospheric ray gun", would not look out of place in an episode of Flash Gordon. The template for the gun may be downloaded here. 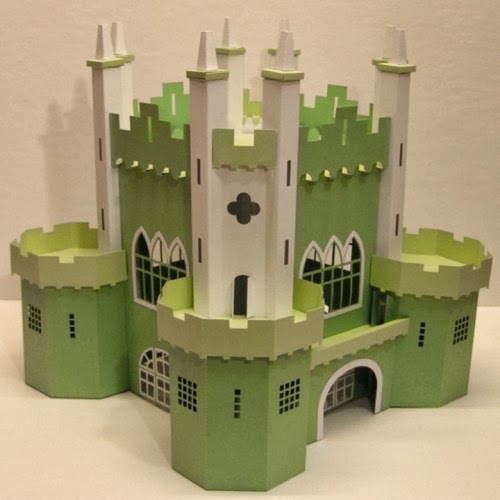 This papercraft castle was created by Monica who lives in Northern Sweden. Inspired by Kilkenny Castle in Ireland, the model was constructed using color card stock and double sided tape. 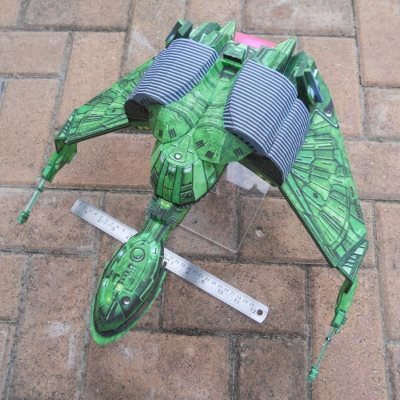 The template download for the castle includes several different file formats, including files that may be used as cutting files for Craft Robo cutting machines. This and several other architectural models may be downloaded from Monica's site here.